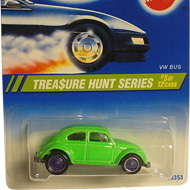 6/12 from the 1995 Treasure Hunt series. 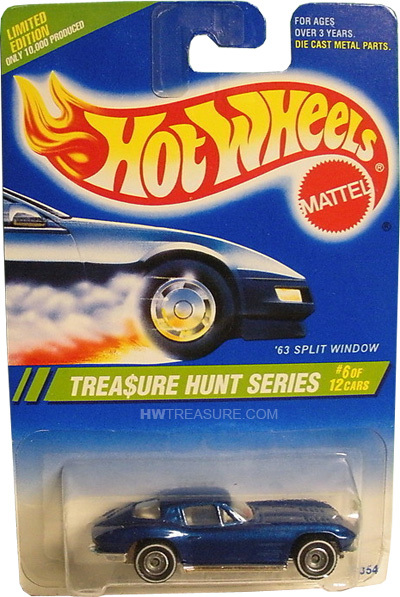 The car features blue metalflake paint, clear windows, a white interior, white line Real Rider wheels, and a chrome plastic Malaysia base. 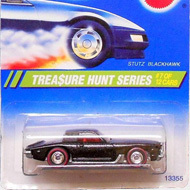 The car made its debut in the 1980 Hi-Rakers series and is based upon the 1963 Corvette Sting Ray. It features a split rear window, hidden headlights, and hood vents.